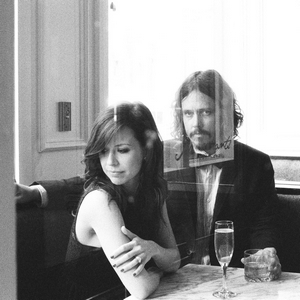 The Civil Wars are a new guy girl duo made up of former CCM singer Joy Williams and John Paul White who’s been making music in various capacities for years. Their music could easily be described as country, folk, americana with a little bit of southern rock flair, but none of those genres really do it justice. The music on their debut album, Barton Hollow is sparse, consisting mostly of acoustic guitar and piano, but what makes it stand out are the vocals. Williams and White create some of the most beautiful harmonies, their voices perfectly complementing one another. They have a kind of compatibility not often seen or heard in music. One can only hope this band will have a long fruitful career. 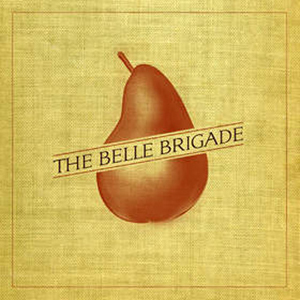 The Belle Brigade share a number of similarities with The Civil Wars. They too are a new guy girl duo, this time made up of siblings Ethan and Barbara Gruska. Their musical style definitely has a bit of a folksy, singer-songwriter vibe, but with plenty of pop rock thrown in for good measure. Similarly to The Civil Wars the Gruska siblings nail it on the vocals, harmonizing, perhaps only like siblings can. It’s often hard to tell who’s singing what and when. Each song is fun and full of energy and they do a great job lyrically, covering the ins and outs of life. The song “Losers” is particularly poignant as they defiantly reject the social norm of always trying to be better than everyone else. Switchfoot’s new album Vise Verses sounds like what you’d expect from a band who’s been around a long time, written a lot of songs together and have honed their craft while still stretching themselves creatively. 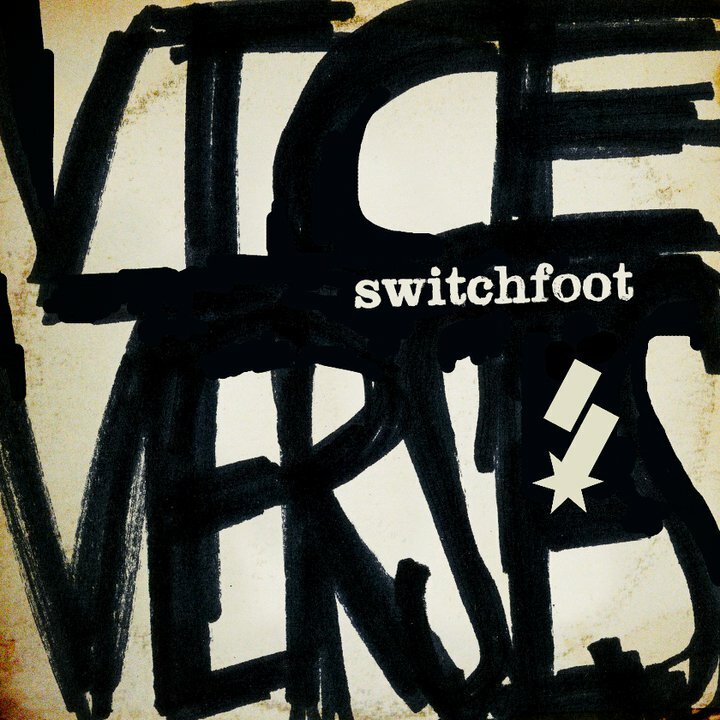 Vise Verses is probably Switchfoot’s hardest rocking album to date, though it features some softer numbers reminiscent of singer Jon Forman’s solo work. Additionally, there are a couple of tracks where the band explores sounds and styles they haven’t yet before and pull them off perfectly. The song “The War Inside” sounds like a straight up R&B song while “Selling the News” is a funky, almost reggae tune that has Forman delivering the verses with spoken word style vocals. Switchfoot have done it again and proved they are still relevant after 16 years. Thrice’s previous album, Beggars was pretty much a straight rock album and Major/Minor picks up right where Beggars left off. Major/Minor is definitely their most aggressive album in a while. Beggars was very much bass driven, while Major/Minor is all about the drums, featuring drummer Riley Breckenridge’s best drumming to date. Of course there is plenty of Thrice’s signature guitar work, which rocks as hard as ever, while singer Dustin Kensrue’s vocals have really taken on a truly bluesy tone lending itself perfectly to the music. Kensrue also penned some of the best lyrics this year focusing a lot on grace and how it pertains to salvation, not to mention the song “Anthology” which contains a collection of past Thrice lyrics put together as a love song. Sadely Thrice recently annouced they are going on hiatius. Time will only tell, but this could be their last album and if it is they certainly went out on a high note, not to mention all the other amazing albums they’ve given us. Last year Kanye West released one of the best albums of 2010 titled My Beautiful Dark Twisted Fantasy. This year he’s back, but this time with his buddy Jay-Z in tow. 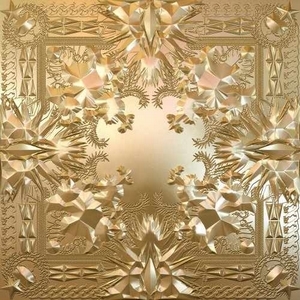 The production on Watch the Throne is superb. Listening through its interesting hearing the intricacies of how the samples, instrumentation and beats are assembled to create songs much like the way a rock band would arrange guitars, bass, keyboards and drums. Some of the samples include songs from Otis Redding, James Brown, Curtis Mayfield and Nina Simone, just to name a few. Lyrically the album focuses mostly on fame and wealth, which provides an interesting insight into the lifestyle these two men obviously embrace, but who also aren’t afraid to point out its pit falls. 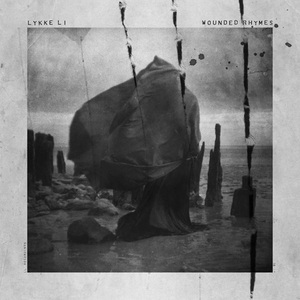 Lykke Li came back this year in a big way with the follow up to her 2008 debut Youth Novels. On her new album, Wounded Rhymes Lykke Li delivers the goods with more power, confidence and angst than ever. She somehow manages to create the most perfect pop songs while also remaining completely authentic. Wounded Rhymes is filled with emotion which is conveyed by songs that are over-the-top and bombastic and songs that are very stripped down. Lykke Li has proven she has staying power; it’s just too bad she isn’t topping the pop charts instead of the likes of Lady GaGa and Katy Perry. Laura Marling’s 2010 album, I Speak Because I Can was number 11 on my Top 25 albums of that year and this year she’s back, this time in my top 10. Marling is hands down one of the best singers and songwriters, male or female in music today. While Marling doesn’t consider herself a folk singer she certainly has a folky vibe to her music. However, on her latest album, A Creature I Don’t Know she ups the ante in terms of arrangements. There is much more to these songs than just her and her guitar. Electric guitar, piano and percussion are more prominent giving it a lush feel. Though ultimately at the core of this album is Marling’s beautiful voice and amazing song writing. It will be a joy to follow her career for many years to come. 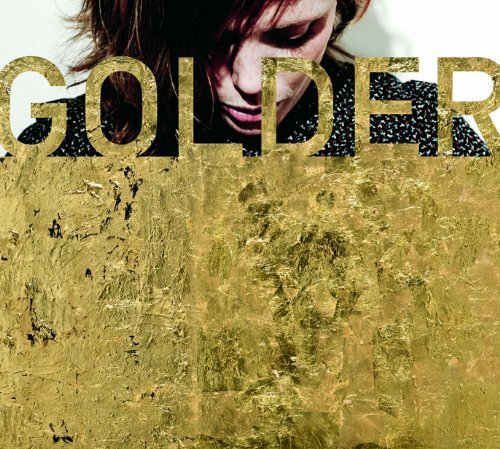 Back in 2009 Haley Bonar left the Twin Cities for Portland and wrote her latest album Golder while there. However, she couldn’t stay away for long and returned in 2010 to record the album with a familiar cast of talented local Twin City’s musicians. The result is one of the best albums of 2011 and for Bonar, her first album that has a truely full band feel, as opposed to just a solo artist. Her band gives these songs depth and more of a rock sound. Bonar’s songwriting is better than ever. She’s able to write about sometimes heavy subject matter, but also has an innocent and childlike wonder to her writing. Many of the songs are just plain cheerful. I’d be remiss not to mention Bonar’s voice, which is delicate and charming, yet confident and so well controlled. I think I can speak for all Twin Cities music fans when I say, we are glad to have Haley Bonar back and can’t wait to see what she’ll do next. Annie Clark, the woman behind St. Vincent is a musical genius. She’s very calculated in the way she writes and records and seems have a particular focus musically with each release. Clark’s third album Strange Mercy is her guitar album. Anyone who knows her music knows Clark is a killer guitarist, but on this album she really lets it shine. Each song is driven by her electric guitar which is almost unrecognizable at times because of all the effects she uses. Clark uses and executes the effects so masterfully the result is nothing short of amazing. Her lovely vocals and the accompanying music balance perfectly with the guitar which is clearly at the forefront making for a really rocking album without being a rock album. There’s definitely jazz, classical and pop influences scattered throughout. And what really makes this album really stand out is Clark’s ability to not just compose great songs, but to compose an entire album. It’s the kind of album that works best listing from beginning to end, which is how an album should be. Bon Iver is the brain child of Eau Claire Wisconsin native Justin Vernon. 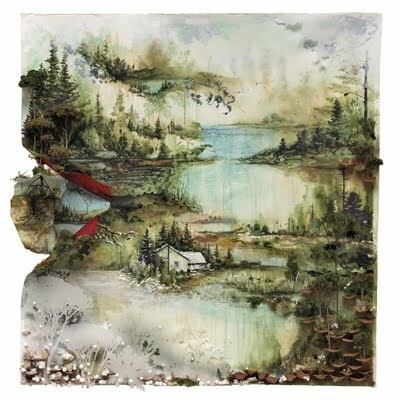 Back in 2008 Vernon released the first Bon Iver album titled For Emma, Forever Ago. The story behind that album is one of myth and legend and that along with it’s musical brilliance captured people’s hearts. In the years since the question has been, could Vernon follow up such a great album with even the slightest bit of success? It seems most people didn’t think he could. However, fans and critics alike underestimated Vernon, not just as a musician and songwriter, but as an artist and exceeding expectations he released the best album of 2011 and one that will likely hold up as one of the best albums of the decade. Bon Iver, Bon Iver is a work of art. The arrangements are superb, swaying and swelling with a menagerie of instrumentation not found of the first album such as keyboards, steel guitar, various percussion, saxophones and excellent backing vocals. Vernon surrounded himself with wonderful musicians creating an almost orchestral full band sound as opposed to just a guy in a cabin in the woods. The production also lends itself well to the overall sound, a sound that isn’t what you’d call timeless but pays homage to genres from many eras such as 80s synth, folk, soul and experimental rock. In addition to the great music is, of course Vernon singing in his signature falsetto and in his rich soulful lower register, singing words that are poetic and perfectly matched to the vocals and melodies. Local musician Jeremy Messersmith described Vernon’s voice as a national treasure after a live performance here in Minneapolis. 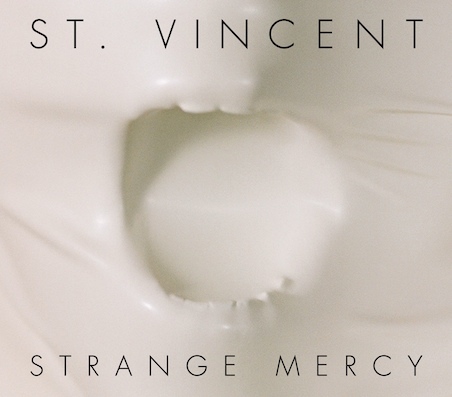 My wife and I happened to be at that show as well and it was simply phenomenal, further enhancing my love for this album (and the first album for that matter) and my appreciation of Vernon as an artist. 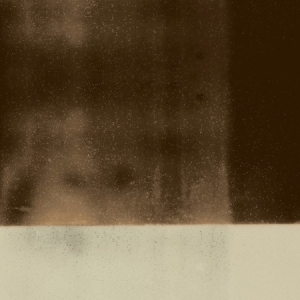 I’ve written about a number of other great albums from 2011 but none of them really came close to Bon Iver’s sophomore effort. As soon as I heard it I knew it would be my choice for album of the year and I clearly wasn’t the only one who felt that way.